That belongs maybe not here, but I found out in connection with this discovery of Donatelo200. What does the parameter 'GravParam' and what is its range of values? Little bug report. I found this crazy star, it's more like a disk. I found this crazy star, it's more like a disk. 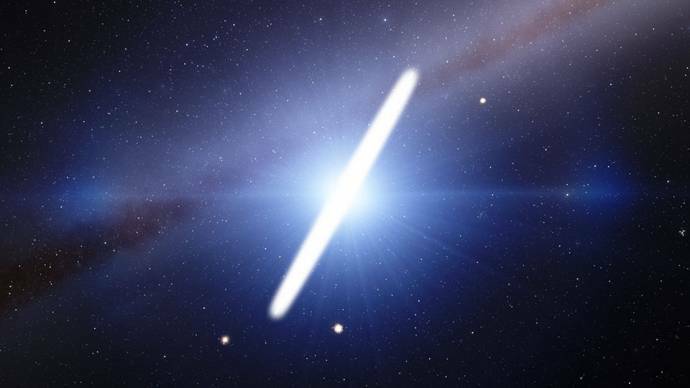 This is not a bug but a white dwarf with a 2,163 million Kelvin hot accretion disk. If you go up close, you can see a gap between the disc and star. 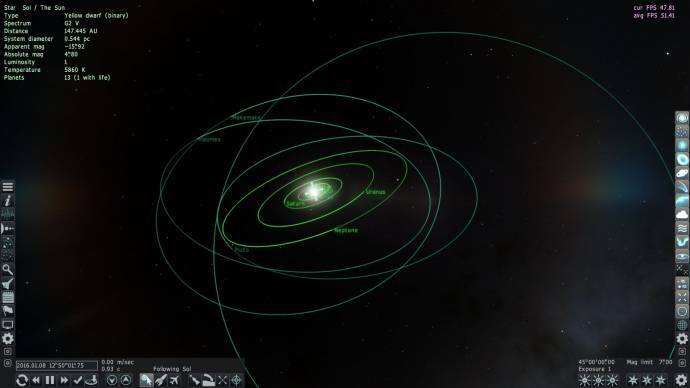 Something is wrong with the orbit of Neptune. There are no differences in the SolarSys.sc files in the Neptune section. I solved the problem. 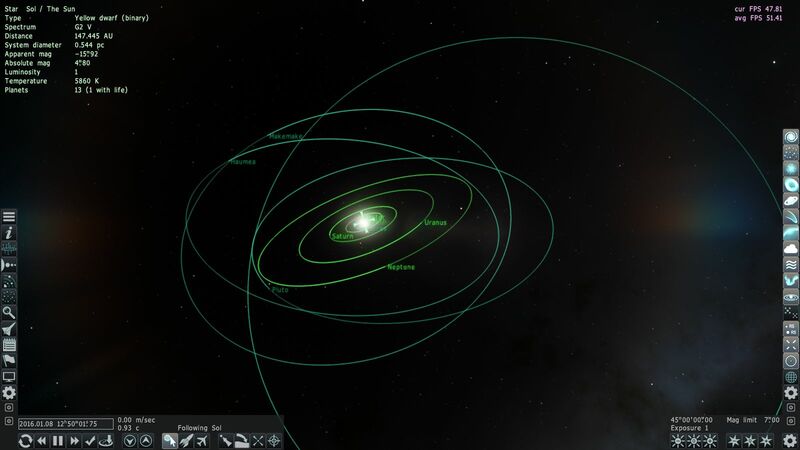 In Neptune Orbit section was missing the term RefPlane "Ecliptic". That was probably so far no problem, but now with the new parameters for RefPlane, SE has the parameter set to Extrasolar. Understandable. Thank you for the heads up. so i noticed a bug with patch 8, all brown dwarves dissapaered! Ah yes, I had no notes, I just correct in my SolarSys.sc (a copy), speaking of which, I saw a mod for Neptune, it would be nice to put default to the next patch as well as other mod cloud of the gas giants, if I remember well, it is Voekoevaka who made it. I've tested it 3 times, even with a clean "972 + 973_patch + 974_p08", but nothing. Same problem. [MT] ERROR: Can't open the file "system/shaders/hdr_down.glsl"
[MT] ERROR: Can't open the file "system/shaders/hdr_gauss_blur.glsl"
[MT] ERROR: Can't open the file "system/shaders/hdr_tone.glsl"
[MT] ERROR: Can't open the file "system/shaders/hdr_tone_alpha.glsl"
But this did not make sense! Then I unzipped, inside the "System" folder, the "shaders" folder contained into shader.pak, then I deleted "shader.pak". This time SE starts, but only a black window appears. I watched inside se.log and it seems that the files contained in the .pak files are not read. This happens only using XP. Also, I've noticed that 'StaticPosPolar' or 'FixedPosPolar' 'radians' expected, not 'degrees', unlike suggested in this sample. Oh right, fixed. Now they used degrees. Also, short form does not exist, I mistaken in that post. No. It shows redshift/blueshift caused by gravity, not by the Doppler effect. Doppler effect have no sense in FTL movement, formulas simply break down. Rendering true visual effect of Alcubierre drive is too complex task for now. By the way, with realistic rendering, camera cannot be outside the warp field, because in that case it will move with faster than light physical speed. SE atmosphere rendering method don't allow to show opaque atmopsheres. It was designed for Earth. 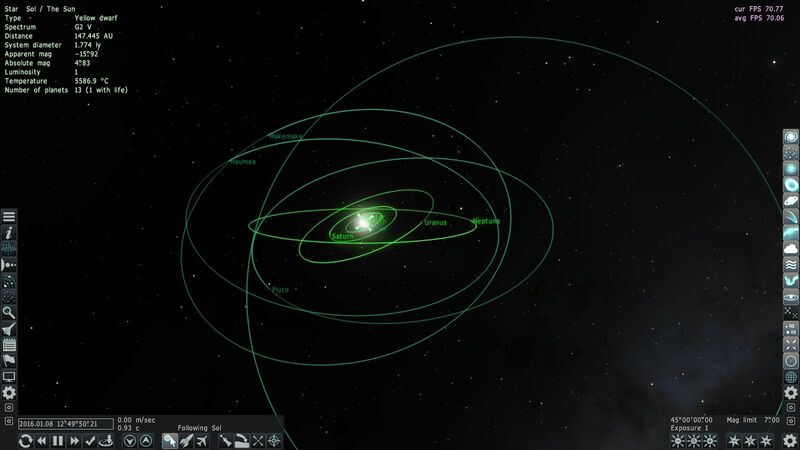 This is why SE don't have "gas dwarfs" or "puffy ice giant" planet classes. Ie planets with small core and very thick atmosphere. They simply will look glitchy. 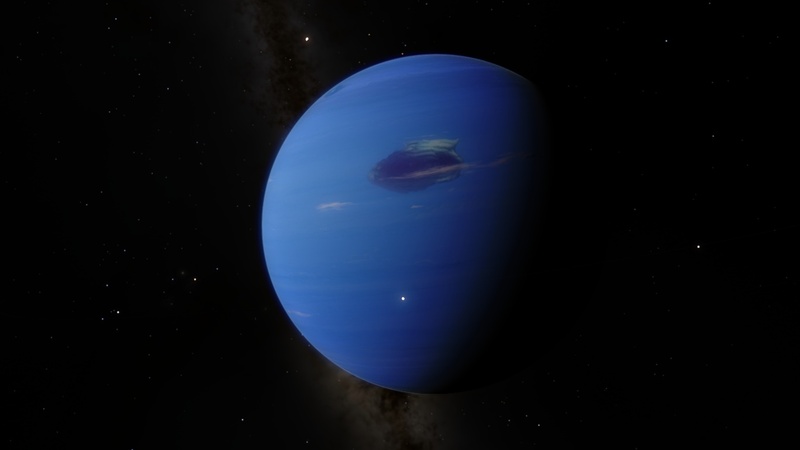 it would be nice to put default to the next patch as well as other mod cloud of the gas giants, if I remember well, it is Voekoevaka who made it. This mod has some serious issues, so I don't include it. I don't remember details now. shader.pak must be in system folder, not in system/shaders. If you unzip shaders from the pak, they (files with extension .glsl) must be in system/shaders folders. Try to unzip all paks in SE. Use "extract here" command, then remove pak files. I noticed in the log file that 'SpaceEngine' some files not found, which are not in .pak files, but directly into the appropriate folders. [MT] ERROR: seTexture::Load(): File not found: "textures/common/splash18. *"
[MT] ERROR: Script::Load(): Can't open the file "models/atmospheres/atmospheres.cfg"
MT] ERROR: seTexture::Load(): File not found: "config/exitscreen. *"
So maybe something is wrong with your installation. Where have you installed SE? shaders.pak must be in system folder, not in system/shaders. If you unzip shaders from the pak, they (files with extension .glsl) must be in system/shaders folders. Yes, shaders.pak is in system folder. All the *.pak are in the right place. I checked carefully. Anyway, reading the "se.log" file seems that the files inside the *.pak files are not read. This happens only using XP. I also copied a fully functional (under Win7) 974p08 from a PC to another (XP), then I've deleted the cache but nothing. I've tested SE p08 in several folders (even in C:\SE). Nothing. Only using XP there is this problem. Using Seven all is OK.